Offering of incense and candles at the beginning of the Meditation Day on 20th March 2016 at Patacara Bhikkhuni Hermitage. Photo by Ming. 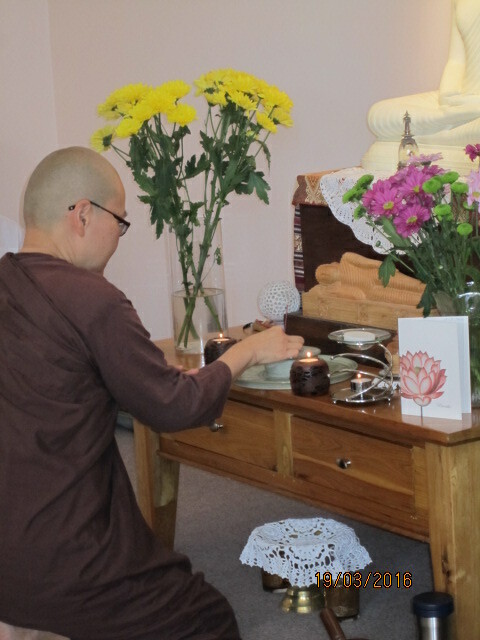 On Sunday, 20th March 2016, Patacara Bhikkhuni Hermitage held a Meditation Day to mark Ayya Vayama Bhikkhuni’s ordination anniversary on 17th March. 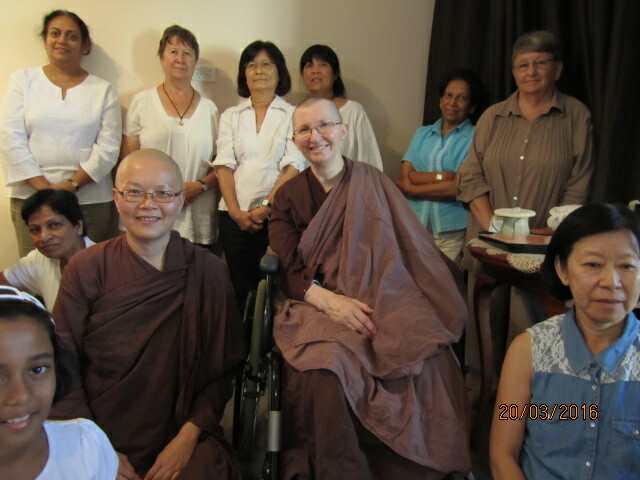 Ayya Vayama Bhikkhuni went forth as a nun in Sri Lanka on 17th March 1985. 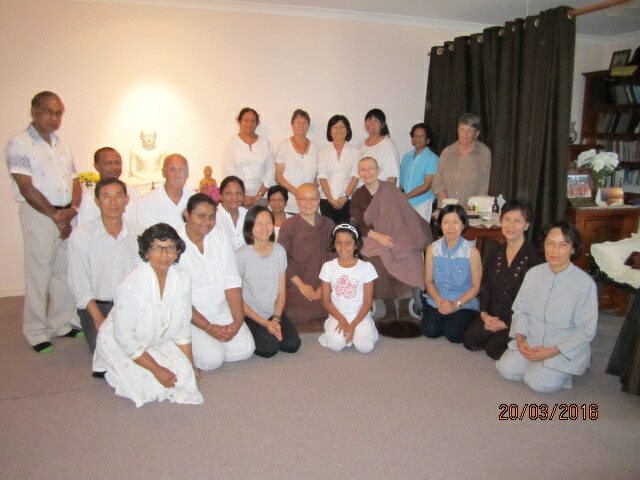 Twenty two invited lay supporters participated in the March Meditation Day to honour our teacher, Ayya Vayama Bhikkhuni. 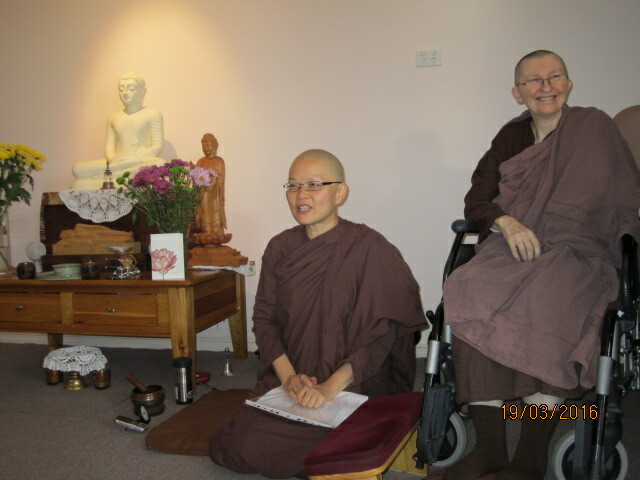 The theme of the Meditation Day was “Sickness and Aging”. Ayya Vayama Bhikkhuni and Ayya Seri Bhikkhuni inside the Sala of Patacara Bhikkhuni Hermitage on Sunday, 20th March 2016. Photo by Ming. Group photo (1) : Ayya Vayama Bhikkhuni, Ayya Seri Bhikkhuni and the participants at the Meditation Day on 20th March 2016. Photo by Ming. 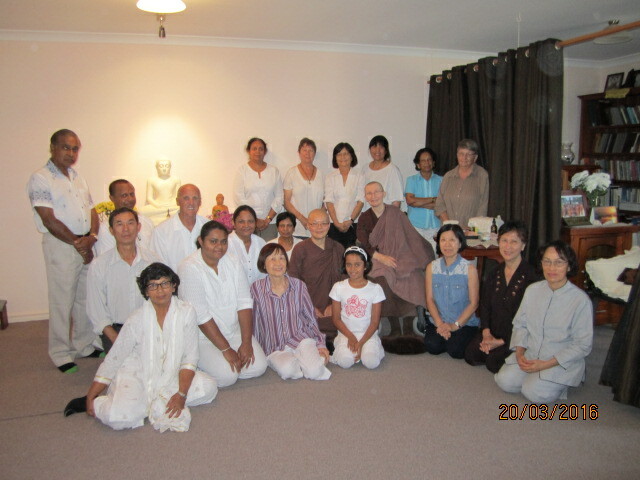 Group photo  of Ayya Vayama bhikkhuni, Ayya Seri Bhikkhuni and the participants at the Meditation Day on 20th March 2016. Photo by Lay Har. This entry was posted in Events and tagged Ayya Seri Bhikkhuni, Ayya Vayama Bhikkhuni, Ordination Anniversary, sickness and aging, Year 2016. Bookmark the permalink.